Here is chart showing the current price of gold bullion. This reflects the “spot price” of one troy ounce of gold bullion, which is not necessarily the price at which you can buy smaller quantities of gold in a retail market. The spot price is the price at which you can buy gold for immediate delivery. This is opposed to a futures contract which is the price for a delivery at a specified time in the future. Therefore this reflects the “current” price of gold because it is the amount of money that it is trading for on the commodities market right at this second. Most people think that they are going to buy gold at the spot price, and if someone is charging more they are getting ripped off. This isn’t true. 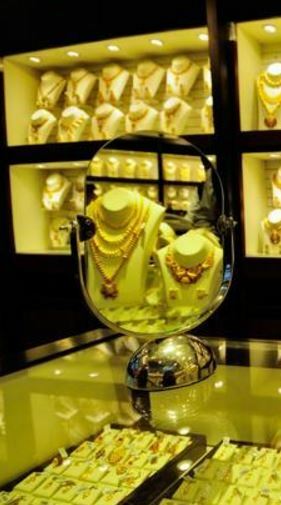 For a retail gold seller to acquire their gold at a wholesale price, they are paying something closer to spot prices. In fact, you can think of the spot price as the wholesale price that pure commodities traders are exchanging as part of very large transactions. If you are buying smaller quantities, especially if they are being sold in a retail store or delivered to your door, you do not have access to spot prices. Like an product that is sold retail, the consumer needs to pay for the transportation, storage, packaging, and marketing of the product as a part of their price. Gold is actually rare in retail because the markup is typically smaller than 30%! Sometimes you can buy within 5% to 10% of the spot price if you find a very motivated seller or if you are dealing in larger quantities. Spot price is constantly determined in an open bid and offer type auction. The market sets the price based upon demand and supply. If demand peaks relative to supply, the price goes up. If a supply glut causes the amount of gold available for sale to overwhelm the amount of gold that people want to buy, the price goes down. The gold market compares to a stock market or a foreign currency market in that bids and offers are entered electronically by buyers and sellers. It is not “open outcry” like the stock market of the olden days, but buyer and sellers are matched electronically when their bids and offer prices match. Where the gold market really differs from the stock market is that in true gold markets, people are not simply trading paper notes that represent ownership of gold but buyers are actually taking delivery of physical bullion when they purchase. Participants such as banks, central banks, global manufacturers, and jewelers and gold sellers all may have reasons to take delivery of physical gold. Not all participants want delivery though, and some people can trade paper gold notes whose price reflects the underlying value of the gold it represents. Many people access this through their brokers who allow access such as Forex brokers and stock brokerage platforms. Most “regular people” don’t have any need to take delivery of gold bullion in large quantities, and if they do they will go to a retail seller such as a bank, pawn shop, or gold dealer like Gramercy. How do you Know Your Buying for a Fair Price? This can be a tough question for many small buyers of gold to answer. If you research the spot price, you’ll realize that no one will sell it to you for this price so you may feel like you are not being treated fairly. This isn’t true, but it can be difficult to figure out just how much more than spot a fair price is. Generally this depends upon how much gold you buy, but a mark up of 10%-20% over spot price is pretty common. The higher the quantity of your purchase, the lower the markup generally is. There is no avoiding the fact that you will pay a markup. Even if you bought the gold at spot, you would still need to get it shipped and delivered. No matter what, you are going to pay some premium in price. The best way to get a fair price is to use a reputable dealer. Some pawn shops will try to gouge clients, but a company that depends upon repeat business and a good reputation will not. Gramercy gold always gives our clients a fair price.